Be a volunteer. 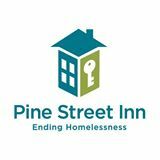 Call Pine Street Inn - Emergency Shelter at 617-892-9100 for current volunteer work opportunities. Posting Comments below is for viewers on this website only. If you have information that can help users regarding Pine Street Inn - Emergency Shelter, please provide it below.